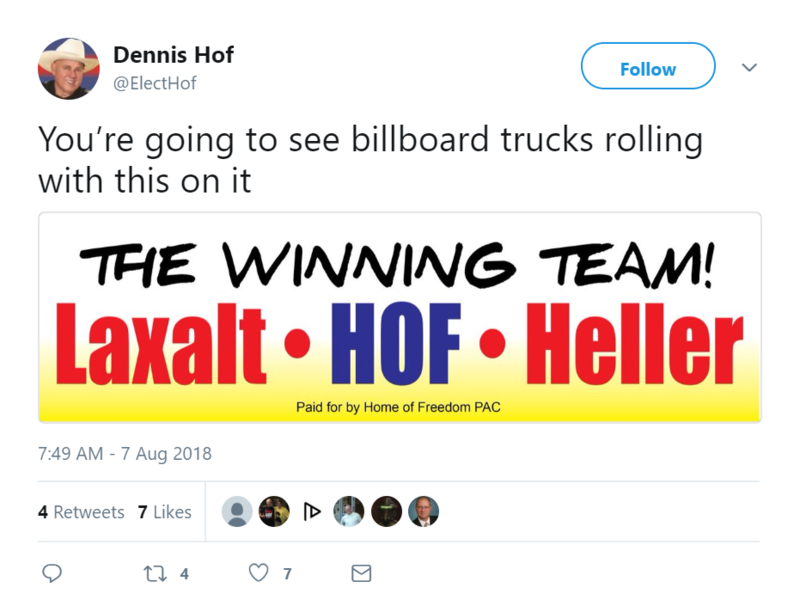 Team Heller Goes Bonkers over Hof Billboard SUPPORTING Him! (Team Hof) – As you may recall, the day after the June 12 Republican primary election, Republican U.S. Sen. Dean Heller, Republican gubernatorial candidate Adam Laxalt, Republican lieutenant governor candidate “Tax Hike Mike” Roberson and Republican attorney general candidate Wes Duncan all said they would NOT support in the general election the winner of the Republican primary for Assembly District 36, Dennis Hof. But just because Heller and Laxalt decided not to support the Republican candidate that the Republican voters of AD-36 voted for doesn’t mean Dennis is going to stoop to the same level. 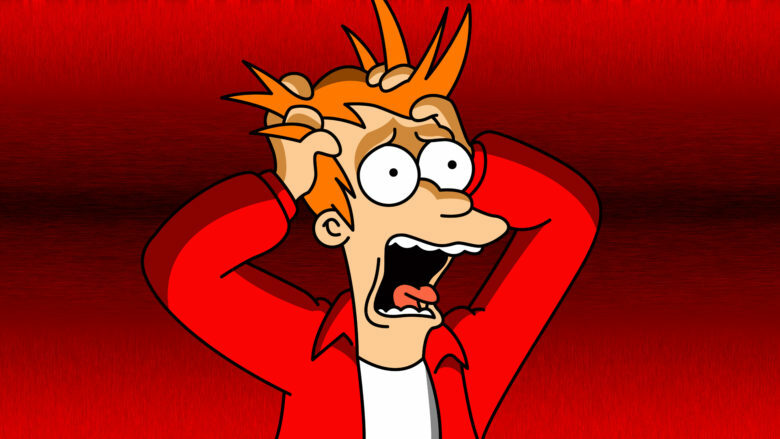 He believes Heller and Laxalt are the best choices for Nevada…and is saying so! And the Heller campaign had a cow! Oh, they’re gonna be displayed alright! And if THAT’S not protected by the First Amendment, we’re all in SERIOUS trouble! To be clear, the billboards in no way claim Laxalt and Heller have endorsed Dennis. This is just Dennis saying that he supports Laxalt and Heller. And give Adam Laxalt credit. Unlike Heller, at least Laxalt did say he “respects the will of the voters in District 36.” And that’s all Dennis has ever wanted. He never asked for nor expected the endorsement of Laxalt, Heller, Tax Hike Mike or Duncan. And he neither asked for nor expected any of them to campaign with him. Just respect and accept “The People’s Choice” in Assembly District 36. P.S. Thanks again, Mr. Schipper, for the heads up!